Find the perfect fit for any style and any job when you browse our huge selection of high-quality round replacement lamppost globes. 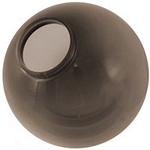 Globes are one piece injection blow molded, water and shatter resistant and are made from materials containing UV inhibitors. 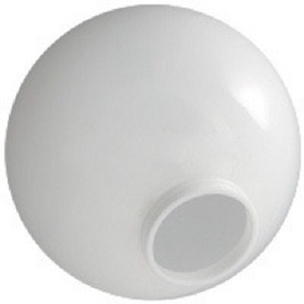 All of our Globes are proudly made in the U.S.A.
Materials | Poly-carbonate, Acrylic, and Polyethylene globes. Tint | White, Clear, and Bronze. Sizes | from 6 to 24 inches. Choose Your Size Below to get Started.